Are your oral hygiene habits what they should be? In other words, do you protect your dental health with diligent brushing and flossing? Do you eat a tooth-friendly diet? Your Pensacola, FL dentist, Dr. Edwin Yee, teaches his patients all about preventive dentistry. It's the best way to keep your teeth and gums attractive, strong, and long-lasting. Dr. Yee and his team recommend exactly what the American Dental Association advises: brush your teeth twice a day with a quality, ADA-accepted toothpaste, and floss once a day with the product of your choice. Not only will your teeth and gums feel and look clean, they'll be free of accumulated plaque and tartar. Plaque and tartar contain toxic microorganisms which eat away at tooth enamel and infect your gums. 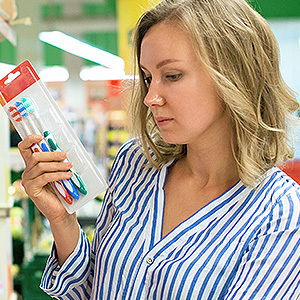 The American Academy of Periodontology says decay and gum disease are leading causes of adult tooth loss in the United States, but they are avoidable with good oral hygiene. Finally, completely eliminate tobacco usage--whether smokeless or cigarettes. Both contribute to oral cancer, and they set the stage for gum disease. Dr. Yee may recommend plastic sealants and/or topical fluoride treatments to protect your teeth from decay. These treatments are easily applied and last for years. As part of your routine appointment, your dental hygienist will scale your teeth, removing deposits of plaque and tartar which you cannot reach with your toothbrush and floss at home. Also, using a rotary toothbrush and mildly abrasive toothpaste, she'll polish your teeth to a glossy, smooth finish. When you keep good hygiene habits, your smile will thrive. So follow-through daily, and if it's time for your six-month cleaning and exam with Dr. Yee and his team, call the office in Pensacola, FL at (850) 479-3355.